CW) DemoForexChief Ltd. CG) Live ForexChief Ltd. CQ) Live Fort Financial Services Ltd. CT) Live ForexChief Ltd. CU) Live ForexChief Ltd. CV) DemoForexChief Ltd. CX) DemoForexChief Ltd. DA) Live SuperFin Corp. DC) Live SuperFin Corp. DD) Live SuperFin Corp. DF) Live SuperFin Corp. DG) Live ForexChief Ltd. Traded By AF Global Expert https://afs-id.com. 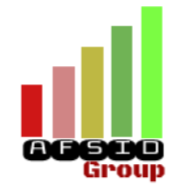 HIGH RISK MODE TEST AF-Global Expert Deposit 200$ Running Pair (EURUSD) AFSID-Group.Cv.